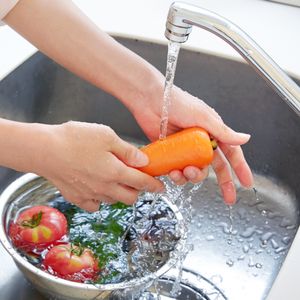 When anyone turns on a tap in their home, school, or place of business, the water from the tap should be safe to drink. Water utilities are responsible for providing safe drinking water by treating water to regulatory standards, and by maintaining safe water quality through the distribution system. However, there are limits to water utilities’ ability to assure safe water at the tap, since water utilities do not control the quality of plumbing systems within individual property lines. 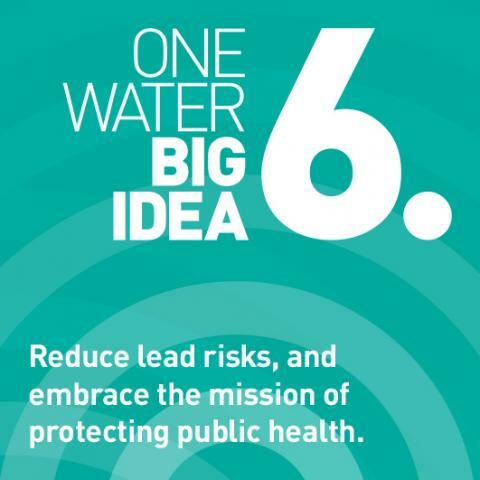 If communities are committed to providing safe drinking water, while water utilities can lead the charge, we must reach across silos to generate community-wide solutions that engage healthcare systems, school systems, city departments, state agencies, and community groups. Lead in water is a legacy issue that reaches across private property lines and different agencies’ areas of responsibility, presenting unique challenges from one place to the next. Questions remain on lead removal: Who is responsible for it, who will pay for it, and how should it be done? And, in the interim, what should we be doing to mitigate the risk of exposure? Solutions will require extensive work on education and awareness. Across the nation, there are an estimated six to ten million LSLs still in place, but the actual number is unknown. Under the 1991 EPA Lead and Copper Rule (LCR), many water systems adopted best practices, including corrosion control. Questions remain, however, about whether the LCR does enough to protect public health. Enforcement is also a concern, with testing requirements applied differently across different communities and states. Compliance and monitoring of sampling requirements could also be improved. Fully removing lead service lines is complicated and can be expensive, estimated at $5,000 to $7,500 per service line. There are questions in every community about who should bear those costs and as we consider approaches to replacement, we must ensure that they are affordable and implementable for all. The presence of lead in water systems goes beyond the service line and exists in plumbing systems. The problem of lead in in-building plumbing is particularly acute in historically underserved communities, where housing may be dilapidated and the effects of all sources of lead exposure compound. While corrosion control has provided a great deal of protection from lead risks, it has its limitations. Even with effective corrosion control, disturbing a LSL can sometimes result in elevated lead levels at the tap for weeks, and even months, after the disturbance occurs.